There are a large number of dress forms available on the market these days. Many of them might look like a dress form but do not have what it takes to actually be a great one. 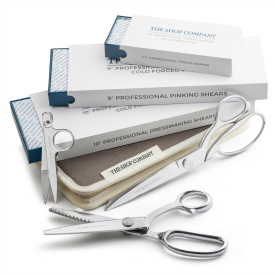 As we have proudly become one of the nation's leading dress form companies, we decided to explain what exactly it is about our dress forms that make them so popular. We hope you find this useful. The best dress forms are the ones that are not adjustable in size. They are not covered in dials, large empty gaps in between expanding torso plates, or any other obstruction that comes with the adjustable features. The great ones - the dress forms used by the professionals - are solid. Being solid allows the form to offer a well-balanced and unobstructed surface to measure, create or showcase your creations. We pride ourselves in manufacturing the widest range of solid sizes (0 - 20 for women, 36 - 46 for men, and 6 months - 14 years for children) across the widest array of dress form styles. 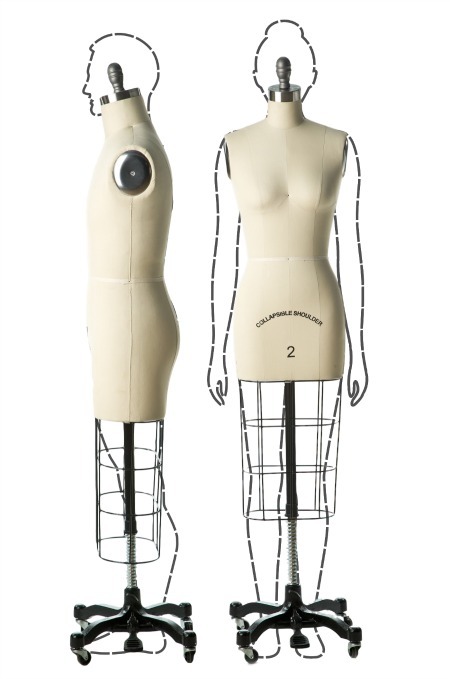 When you measure fabric or patterns on the form, you will need to easily locate all the various torso parts. Also, when you are draping fabric over the form, unless the fabric is transparent, you will want to be able to feel your exact position on the form. 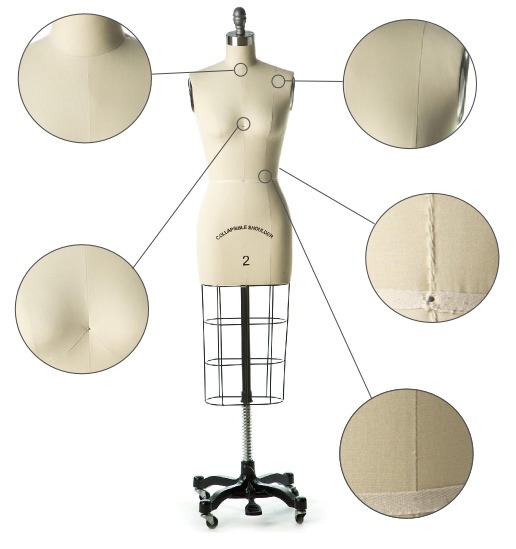 Our forms are built with the entire range of strong and recognizable seams - front center, back center, right side, left side, front princess, back princess, bust, shoulder, neck and waist. There are even a total of seven pre-installed pins marking all of the centering positions. The importance of the dress form fabric quality cannot be overstated. Unless you plan on only using your dress form a few times, the fabric needs to be of the highest quality. It must be able to withstand a pinning abuse that would make a voodoo priest jealous. Hey, and why not have this dress form's fabric look great as well? 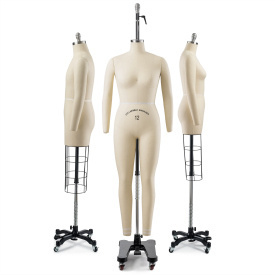 Well built dress forms are quite heavy (our most popular form - the Professional Female Dress Form w/ Collapsible Shoulders - weighs in at over 30 pounds). Heavy items on poles tend to sway and nothing can be more aggravating than trying to create a masterpiece on a form that is always running away from you. 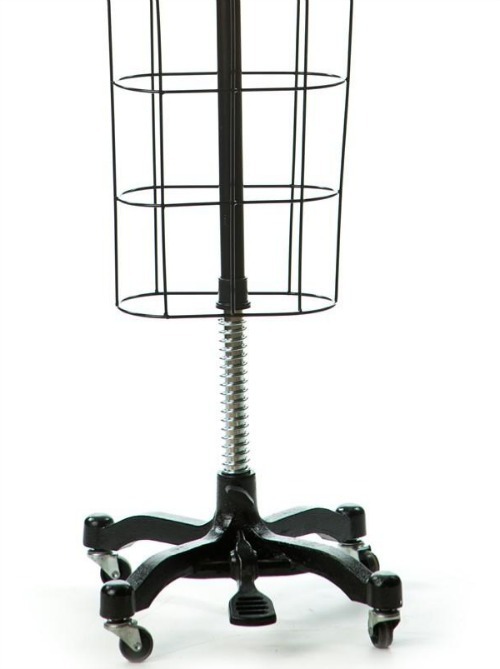 Our bases are built strong, solid and very sturdy - yet have carefully pressured wheels to allow you to still easily move the dress forms around. We even included a foot pedal on most of our forms to allow for easily adjusting the height. Many of our forms are built with collapsible shoulders (for example, this one). 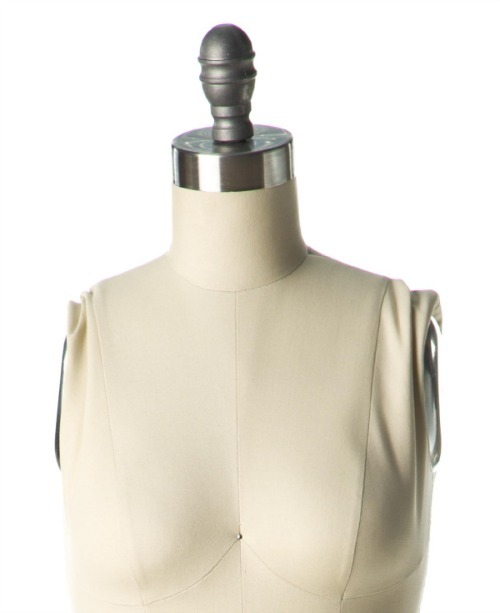 When you are creating or displaying a tighter fitting garment these collapsible shoulders are an absolute must on your dress forms. 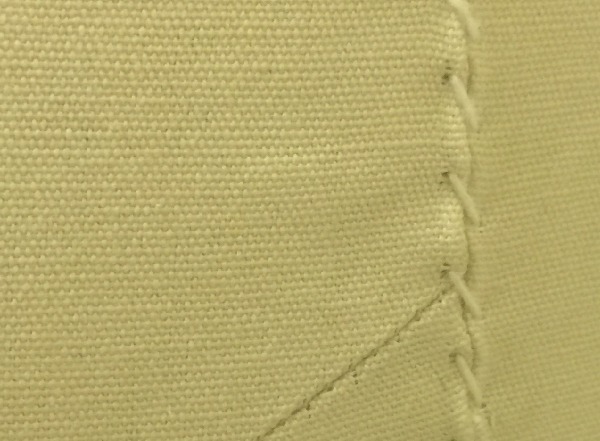 They essentially shrink the chest area (as shown in this image) to allow the garment to easily be dressed or removed without the risk of stretching or ripping. The shoulders can be collapsed by pressing them together (squeeze them again to release). 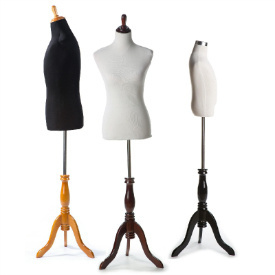 We build our dress forms with highly durable parts that allow the collapsible shoulder mechanism to serve you for a very long time. Get Your Great Dress Form Today!